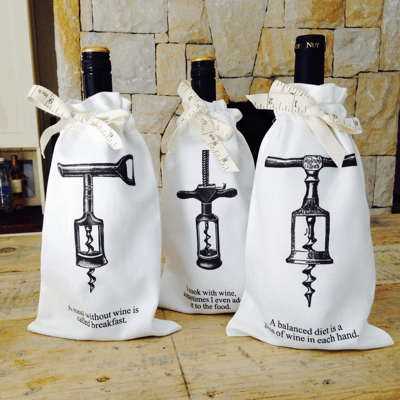 If you want to really make an impression when you take a bottle to a dinner, wrap them in these gorgeous printed canvas wine totes. A set of 3 bags, each with a different amusing saying printed on it. A set of 3 calico printed wine tote bags.